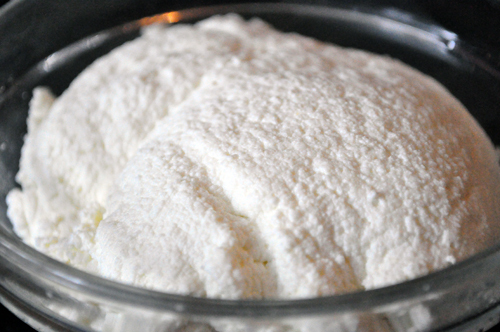 You might recall I made homemade ricotta cheese a couple of weeks ago. Well, the thing about making fresh ricotta is you want to use it while it’s fresh and I had enough leftover that I was inspired – for reasons unknown to most – to add it to meatloaf. 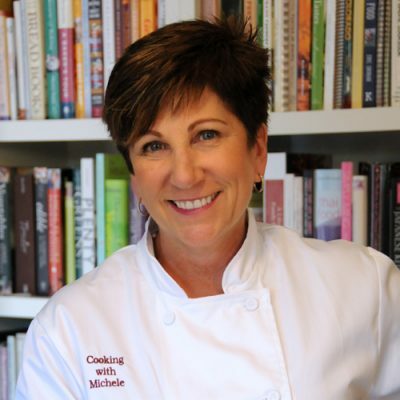 I saw lots of recipes online for Italian style meatloaves with a creamy ricotta and egg filling in the middle, but was mostly intrigued by Lidia Bastianich’s recipe that incorporates the ricotta into the filling. I pretty much followed my All Beef Meatloaf recipe, but decided against cooking the vegetables first, in order to keep more moisture in the meatloaf. I prefer to mix everything except the meat and bread crumbs together first. This lets you get everything evenly mixed without overworking the meat. Then cut in or stir in the meat, using a large fork to break up the pieces and get everything evenly combined. Using a fork prevents you from overworking the meat with your hands and results in a much more delicate meatloaf – not the belly bomb you might recall from your childhood. Finally stir in just enough bread crumbs to bring the meat together (you still want it really moist). Shape into a loaf and slather the top with ketchup. I took this opportunity to use up this bottle of onion ketchup someone gifted me somewhere along the way. 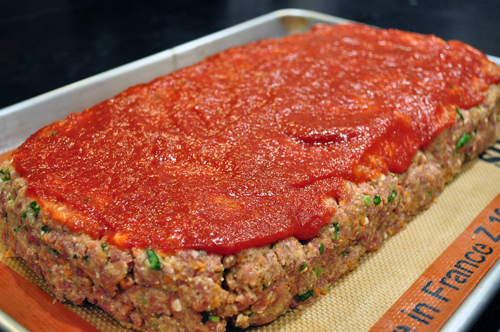 Wondering why I made such an enormous meatloaf using 3 pounds of ground meat? My husband certainly was! Well, not only do I love it, but it happens to freeze really well. 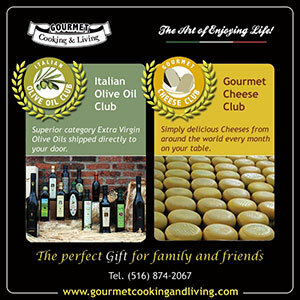 I always make a large batch, cut it into individual servings that I wrap in plastic, then freeze. Ready for lunch when I need it! And for those of you who are wondering about the nutrition of this dish, despite it’s very decadent taste and velvety texture, it weighs in just barely over 300 calories a serving, and includes alot of vegetables as well. Plus the bison has higher omega 3s and is healthier than most store bought ground beef. So what are you waiting for?! Heat milk and stir in gelatin sheet to dissolve it. 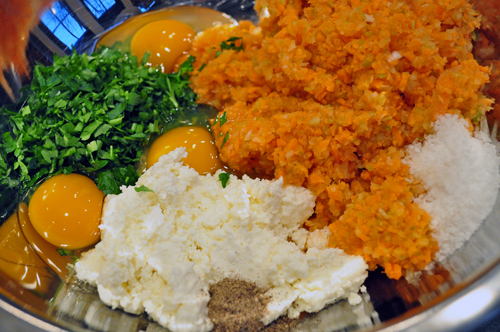 Combine ricotta, onion, carrots, celery, garlic, eggs, ketchup, parsley, salt and pepper and stir together until smooth. Stir in milk and gelatin. 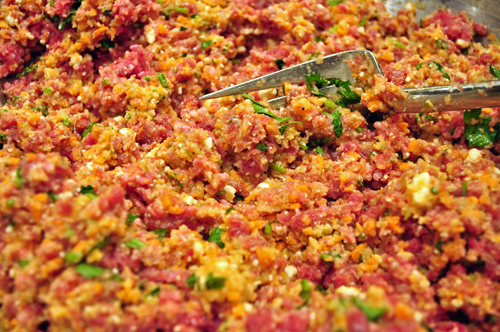 Add the ground bison and use a fork to gently mix ingredients together. 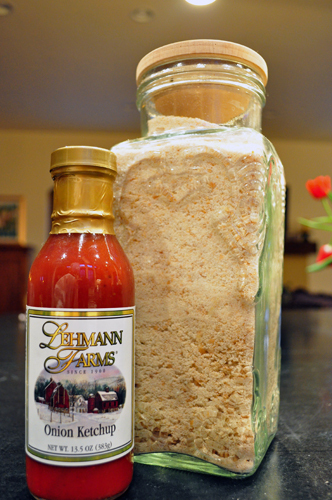 Begin adding bread crumbs, 1/2 cup at a time, until the meat seems to hold together. Make sure your mixture remains quite moist. Shape mixture into a loaf about 2 inches thick on a baking sheet lined with a silicone liner. Spread remaining 1 cup of ketchup over the top and bake at 350 degrees for an hour. This meatloaf is intended to be quite moist and velvety, but if you prefer a tighter or drier version, just add more bread crumbs.